Whether you’re a bride, bridesmaid, mother of the bride or wedding guest, when it comes to your hair, it’s one of the most important parts of your big day, so at Kerry Wedding Hair, the wedding hair we offer across Darlington will make sure that you and your bridal party’s hair looks amazing throughout the special day. Kerry Wedding Hair has a wealth of experience in wedding hair and understands that your wedding is one of the most important and special times of your life. Our team of professional hair stylists will make sure that you look and feel absolutely beautiful on the big day. 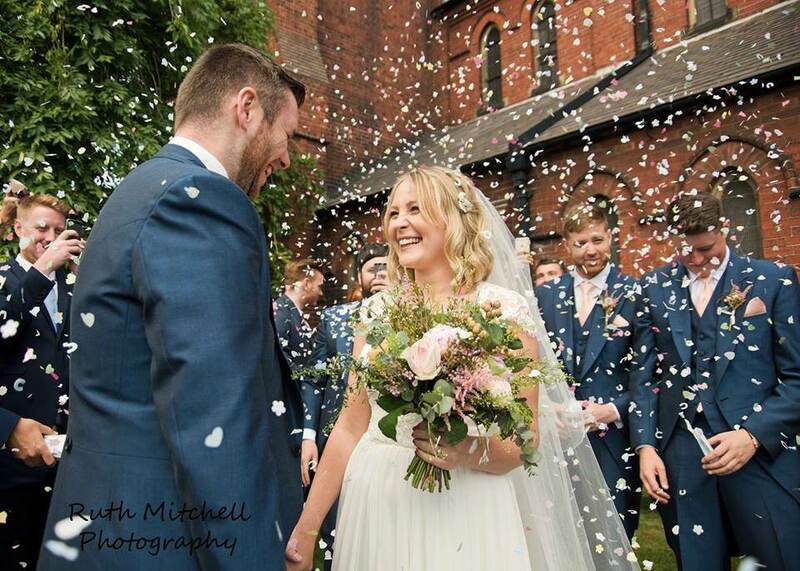 When you choose Kerry Wedding Hair for your wedding hair you can trust that you’re in the right hands as our wedding hair stylists have the skills required to provide beautiful bespoke hair services to brides across Darlington and the North East. At Kerry Wedding Hair, we’ll take the stress out of your day by ensuring that our professional stylists travel to you, whether you’re at home, your wedding venue or another location. Our wedding hair stylists can always be on hand to make sure that the process runs smoothly, so you don't need to worry about a thing. Hair stylists at Kerry Wedding Hair will make sure they create a look that suits all of your tastes as well as the overall look and style of the wedding. If you're not happy, then neither are we, so we'll spend time with you to make sure that we get your hair just right. Our wedding hair specialists will work with your theme as well as include your chosen bridal hair accessories, should it be hats, tiaras, fascinators or other hair adornments. For wedding hair in Darlington, call Kerry Wedding Hair today! From bride styling, bridesmaid hair, or wedding hair for the mother of the bride or wedding guests, you've come to the right place, simply call Kerry Wedding Hair today. We can be on hand to assist with all of your wedding hair in Darlington, Stockton, Yarm and Middlesbrough. For exceptional wedding hair stylists contact us today. Five star service, I contacted this company for my recent wedding and I could not be happier. Julia made my hair look stunning and was a joy to deal with. I would certainly recommend this company to friends and family! Read our Google Reviews here. fantasic, friendly, helpful and nothing was a bother for her even when I kept changing my mind! My hair was beautiful and the bridesmaids looked like little princesses!! Would recommend Kerry wedding hair in a heartbeat!! Thanks."